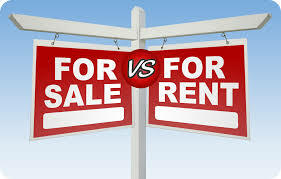 The Great Debate – To Buy or To Rent? The struggle is very real. Many people still wrestle with the great debate, is buying or renting the better option? Well, this depends on your situation. Many can argue to one side or the other, but the reality will be different for all. What is the market like at this time? Can I afford this or is renting a better option for me? What are my long term goals? Purchasing a home is a BIG deal! First, finding the home of your dreams may be a challenge, but with the right Real Estate Team behind you, this should make things easier. You’ll need to take a good look at your financial history, your current financial status and perhaps, consider NOT making other big purchases. Once you have become a Homeowner, while you may have another responsibility to manage, you have also made an investment for the future. Property investments can be a great source of income in the future or left as an inheritance for family and loved ones. Interest and mortgage rates will fluctuate over the next 15 to 30 years of homeownership, but now it’s in your hands to sell at the right time for a profit. It is estimated rental fees increase 2.1 % every year. Depending upon what your current rent is, that could be a $25-$38 rent increase per month! At least with your home, you have a fixed monthly mortgage rate so you can plan accordingly. Now, that you have settled into your new home, make it yours! You are now free to decorate and design a space that screams personality without the hassle of needing someone else’s permission. In your apartment, white walls and minimal decor can be drab and boring; in your home, the options are endless! You can transform spaces for each stage of your life and still relax knowing your mortgage rates aren’t going to increase because you are now married with children or pets. While you also now have the responsibility of maintaining your new property, (lawn care, appliance care), you can also choose your own landscaping and preferred appliances. Although it was nice to not worry about fixing your heating and cooling system, look around at all the space you have to be comfortable at home! Overall, buying and renting will always be a Great Debate, but look at all your options and decide what works best for you! **Based off many factors, such as: credit, down payment, taxes, and homeowner’s insurance. Contact us today to find out how you can apply for a mortgage payment.